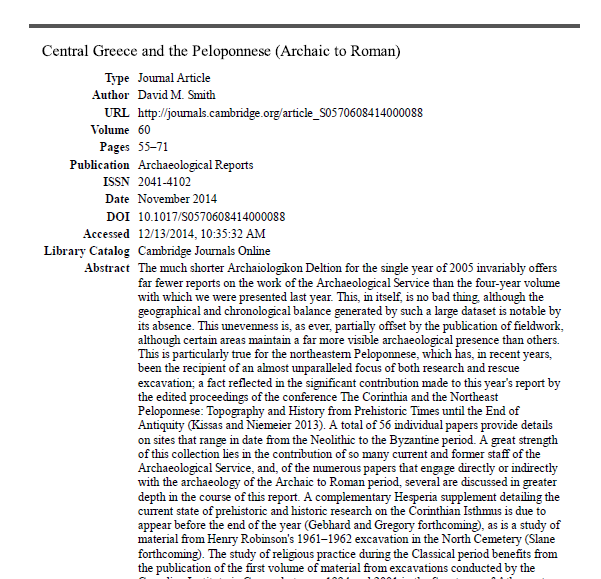 This is the first in a series of bibliographic posts related to Corinthian scholarship published or digitized in 2013-2014. See yesterday’s post for further information about the sources of this bibliography. I have used Zotero’s Report feature to export bibliography to PDF so that the listing includes URLs and abstracts (when available). This list is certainly not exhaustive, but it does contain a good collection of new scholarship broadly related to the Corinthia in the following periods.